I have been thinking about how best to extrude metal to form solid objects stronger and higher temperature rated than the best plastics. 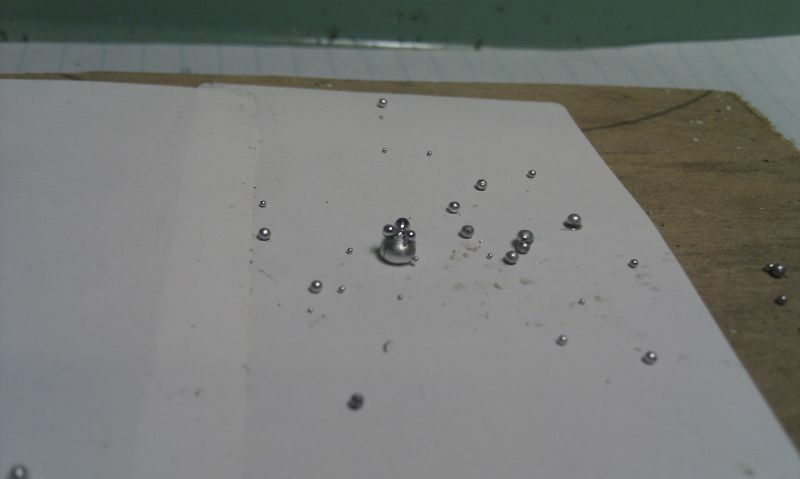 One problem though is that metal, like water transitions rapidly from solid to low viscosity liquid. What we need is something more like a thermal plastic that has a wide plastic range where it is sticky and viscous. Then I realized that if we added a filler to the aluminum, perhaps 50% or more, that did not melt or alloy with the aluminum but was fairly close in density, then even molten aluminum would remain thick and pasty. I am not sure what would be a good mixer. Aluminum has a density of 2.7 at room temp, and 2.6 when liquid and its melting point is at 660C, 1220F. Sand is around 2, ignoring the empty space and melts somewhere between 1500 and 1700C. Steel is around 8, which means it would tend to settle out when the aluminum was liquid, and it also alloys with aluminum, but probably only at much higher temperatures. Magnesium is lower in density than aluminum at 1.7 room temp, 1.6 liquid, but it melts at the same temperature as aluminum, so would simply alloy. Of what I have found so far, it looks like a sand/aluminum mix would work best. 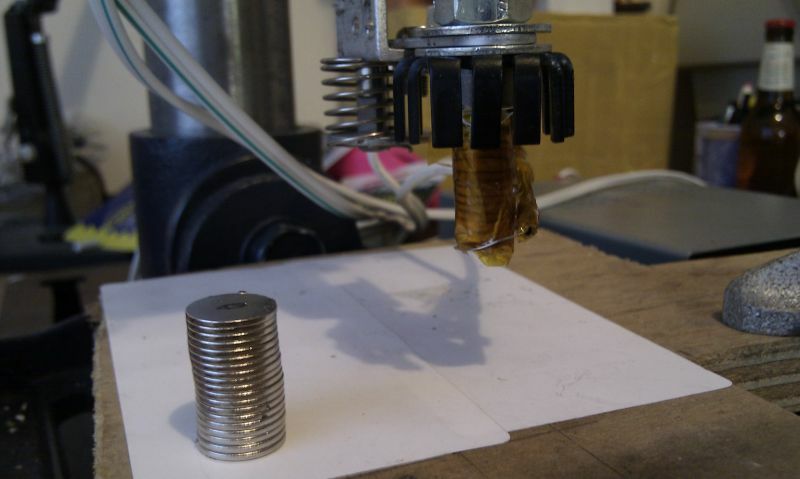 If used as a paste or slurry, it could be mixed with water if there was a safe way to vent the steam when the aluminum is melted, but that would probably mess up the extruder's control of the aluminum. Oil could be used, but it would burn at the temperature of molten aluminum. Rosin flux works great for solder, lead and tin, but I think it messes up molten aluminum bonding with solid aluminum. There may be some equivalent flux for aluminum, but I do not yet know what that is. Another approach would be to melt the aluminum in a separate machine, mix in the sand, and pump the liquid down a cooling tube of the correct diameter for a feed wire, such as 1-3mm. Then the wire could be fed into a normal (high temperature) extruder to make the paste liquid only inside the hot section. Since aluminum is such a good conductor of heat, even with all the sand getting in the way, the pinch-roller would have to be well back from the heater section. Of course, the other way is to slip/ceramic cast a mold, then melt pure aluminum, or a common alloy, and pour it directly into the mold. But that is a different process! Edited 1 time(s). Last edit at 03/31/2010 08:37PM by rocket_scientist. rocket scientists think LIGHTYEARS outside the box! Not sure about molten aluminum, but extrusion of solid aluminum is a pretty standard practice. We maintain a blog on extrusion best practices and industry news @ www.extruded-aluminum.com. We have several blogs about standard design practices for aluminum. Hope that helps. Some interesting links. Thank you Matt. The reason that plastic doesnt undergo a fast transition from a solid to liquid is because its weak (secondary) inter chain bonds break down due to thermal agitation at a lower temperature (Tg) than the stronger (primary) bonds which hold the chain together. So in other words, after your plastic has 'melted' it still maintains its long molecular chain structure which get tangled as they pass by each other when you deform the molten mixture. This give the plastic its high viscosity. If you take something like molten aluminium and add sand, you are just left with low viscosity molten aluminium with sand in it instead of a viscus paste. Yes you could add so much fine grained silica (sand) and other things that you end up with a thick paste, but by this point you would have a ceramic with a small percentage of Aluminium. The extrusion of Aluminium is done at high temperatures, but still below Aluminums melting point. The increase in temperature just makes the metal more ductile. Unfortunately, even at a temperature just below its melting point it still requires huge amounts of pressure to extrude. Another option is to find a way of depositing very fine droplets of a molten metal onto a print bed which solidify on contact. Then deposit the next layer of fine droplets so that they bond with the previous. This was something I was trying out a little while ago. I made a hot end out of a bolt with a very fine nozzle and wrapped with nichrome wire. I manually fed a filament of solder into the barrel which melted and was ejected by oscillating the whole hot up and down at high frequency with an electro magnet. I only did a few tests before I got distracted with my repstrap. Here are a few photos of what im on about. Below is the 'hot end' which was freely mounted on a stainless steel shaft. It was free to move up and down by a few mill when an electromagnet was pulsed. Below is the first and only test I did. The idea would be to produce droplets about a tenth this size and all of a constant diameter which bind together like the few droplets in the middle. I dont see why this process couldnt be applied to aluminium. However constructing the hot end will get a whole lot more interesting if it needs to withstand 500+ degree temps. The Idea of adding sand will definitely not work. Depositing small dropplets could work in tgheory, but only under protective Gas or in a vacuum. Otherwise the aluminium develops a coat of AL2O3 which inhibits the bonding together of the droplets. This holds true for most metals. In addition it would be necessary that the drop is still liquid - or semi-liquid when impacting on the surface, so you need either short distance or high speed. There are methods to deposit metal by welding it onto a surface. This is used to refurbish some tools, especially for metal forming applications. This is done under protective gas or powder when using electric arc, or under vacuum, when using laser to melt the wire. Thought I'd just chip in a serious safety warning. Water and molten aluminium DO NOT mix well. Think of a chip pan fire - the water will turn to steam in fractions of a second. If it is under the molten aluminium, it forms a pocket of very high pressure very quickly, which leads to a (hopefully small) explosion of super-heated steam and molten metal. You don't want that near you. The melting point of aluminium is high enough that you will have issues with things like glass shattering from thermal expansion and cooling. Add that molten aluminium (before it forms the oxide layer mentioned above) is also very, very reactive, as well as having a high heat capacity and temperature.